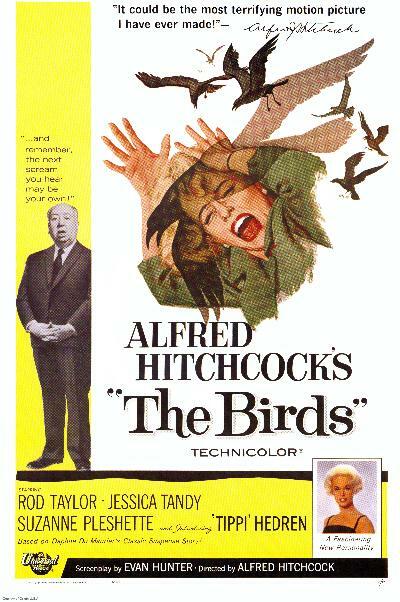 The Birds, an Alfred Hitchcock classic about birds attacking people in Bodega Bay, Calif., launched Tippi Hedren’s acting career in 1963. Hitchcock discovered Hedren after seeing her in a Sego diet-drink commercial and knew she was the one that should portray wealthy, San Francisco socialite Melanie Daniels in The Birds. She won a Golden Globe for Most Promising Newcomer – Female for her debut performance. 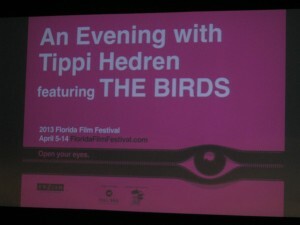 Moviegoers watched The Birds during the 22nd Annual Florida Film Festival before a question-and-answer session with Tippi Hedren. My husband Dan and I have seen The Birds on TV, so watching the movie on the big screen was a real treat! Hedren shared memories of making The Birds during her Q&A. She said that Hitchcock assured her that there would only be mechanical birds during the filming of the movie but that wasn’t the case. There were live birds in the movie and one bird pecked Hedren underneath her left eye during the filming of the birds attacking her in the upstairs bedroom scene. Hedren informed the audience that she wore six light-green suits during the filming, which was her main outfit during the bird scenes. She also didn’t know how to operate a motor boat but got it right on the first try after watching men operating motor boats beforehand. Hedren loved driving the silver Aston Martin in the film. The crew was worried when she drove near a cliff. The car was going in reverse after she put the clutch into drive and it was a close call! Tippi Hedren during her Q&A at the 22nd Annual Florida Film Festival. Hitchcock was Hedren’s acting coach and transformed her into a star. 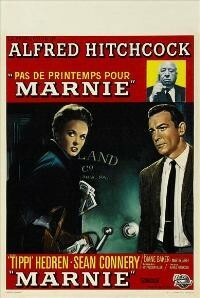 He cast his new leading lady, who he was obsessed with, as Marnie Edgar in the 1964 film Marnie. The story is about a woman who is a habitual thief with serious psychological problems that’s married to her boss Mark Rutland, portrayed by Sean Connery. 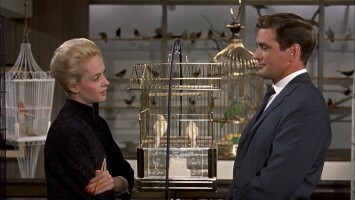 During the filming of Marnie, Hedren could no longer tolerate Hitchcock’s sexual advances and ended her contract after the movie was finished. She knew the repercussions of ending her contract with Hitchcock could possibly be the end of her movie career but Hedren didn’t care and just wanted to be free. The HBO movie The Girl, starring Sienna Miller as Hedren, brings Hitchcock’s obsession and the actress and director’s turbulent relationship to the forefront. After Hitchcock’s contract expired, she was cast by actor, writer and director Charlie Chaplin as Martha in A Countess from Hong Kong (1967). Hedren has starred in more than 50 films during her career and portrayed Betty in Free Samples (2012), a movie about a Stanford law-school dropout named Jillian who escapes to Los Angeles to figure out what she wants to do with her life and ends up running an ice-cream truck. The movie was featured during the 22nd Annual Florida Film Festival. Hedren became passionate about protecting big cats after filming Satan’s Harvest (1970) in South Africa. She produced and starred in Roar (1981), an 11-year project that cost $17 million and made $2 million at the box office. 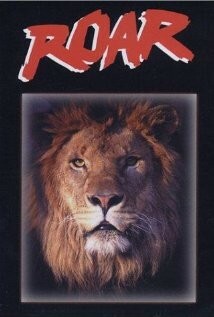 The flick featured African lions invading a home and chasing people up and down stairs and into rooms. The film led to establishing the nonprofit Roar Foundation in 1983 and later the Shambala Preserve (http://www.shambala.org/) in Acton, Calif, which is the home of 47 big cats, including African lions, Siberian and Bengal tigers, leopards, servals, mountain lions and bobcats. Hedren lives on the Shambala Preserve and conducts monthly tours to the general public. Hedren was successful in getting a federal bill passed by Congress to stop the interstate traffic of lions and tigers that was signed by President George W. Bush in 2003. She’s working on another federal bill to stop the breeding of exotic felines in the U.S. that’s called the Big Cats Public Safety Protection Act, which may get passed by Congress and signed by President Barack Obama sometime in April.